Tomorrow, we celebrate the life and achievements of the great Dr. Martin Luther King Jr. Dr. King’s vision helped shaped our country into a land of opportunity for everyone and the Grand Strand is honoring his legacy with a full weekend of events. 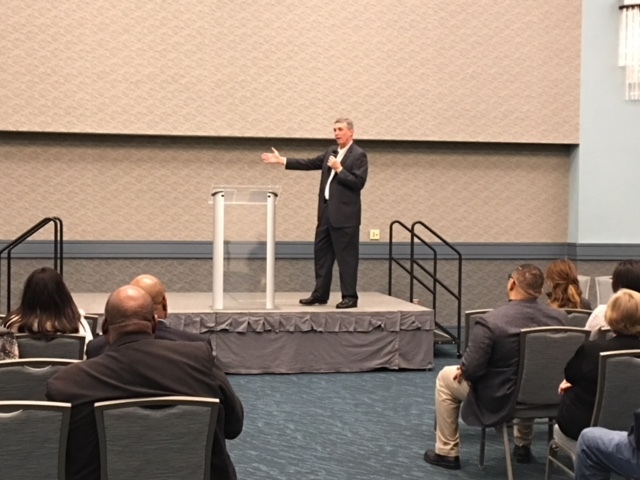 I was honored to participate in yesterday’s economic development summit, which provided attendees with resources to help begin their careers. I had the opportunity to speak about the ways tax reform and major infrastructure projects such as the Dillon Inland Port are creating jobs and strengthening our region’s economy. In honor of Dr. King, it is my goal that everyone will take advantage of the growing number of economic opportunities available in South Carolina! The Grand Strand’s 12th annual MLK celebration is not over yet- you can still celebrate Dr. King at tomorrow’s parade and musical tribute in downtown Myrtle Beach! It’s official! 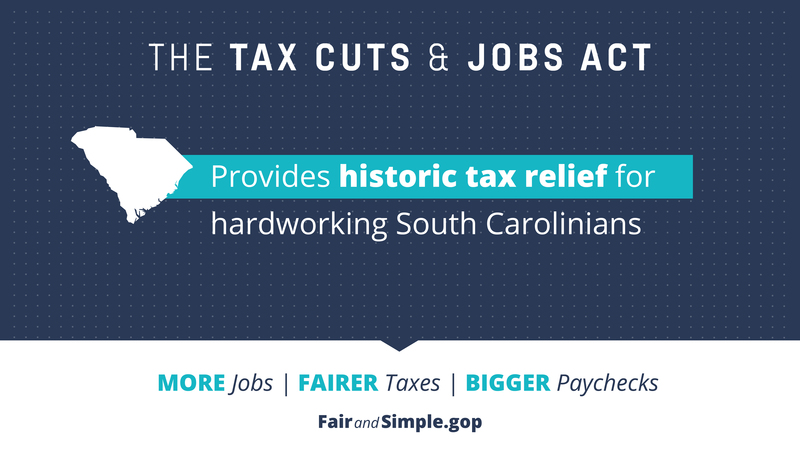 The Treasury Department and IRS confirmed that 9 out of 10 American workers will see an increase in their paychecks next month because of the Tax Cuts and Jobs Act. We finally have tax policy in place that will let you decide how to spend your hard earned money. This news comes on top of Walmart’s announcement that they will be boosting their minimum wage to $11 an hour and giving out bonuses as a result of tax reform. They will also be expanding their paid leave to 10 weeks for new mothers and 6 weeks for new fathers. If you are one of the 6,637 Walmart employees in the Grand Strand and the Pee Dee – congratulations on your pay raise! After the devastation of Hurricane Matthew, I secured 95 million dollars to help impacted families rebuild their homes and lives. This funding will be used to repair 1,350 residences around Marion County. I’ve worked closely with the South Carolina Disaster Recovery Office and visited several of the project sites to ensure these funds are being used in the best way possible. 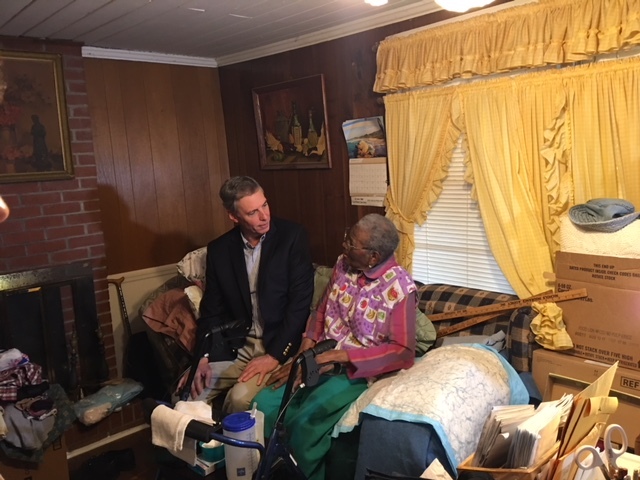 On Friday, I visited two Marion County homes undergoing repairs through this grant. I was uplifted by the dedication the workers had to completing these construction projects, ensuring families could return to a safe, sanitary, secure home. Our resilient community is making progress on the long road to recovery, but there is still much to be done. Applications to receive grant funding closed in November, but if you find that you are in need of recovery assistance please reach out to one of my offices. Talking to Mrs. Gilchrist who is happily back in her home after Hurricane Matthew! Tuesday was Law Enforcement Appreciation Day! We had the chance to show extra appreciation for the sacrifices law enforcement officers make to keep our communities safe. We will always be indebted to the men and women in blue who put their lives on the line for us each day. In my book, Law Enforcement Appreciation Day is every day. Be sure to thank your law enforcement officers!